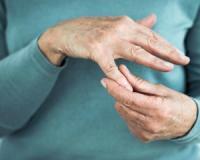 The aches and pains of arthritic joints have been around as long as the human race. And before pharmacies opened on every corner, people used natural remedies to ease pain and stiffness. Apple cider vinegar isn’t a new remedy – in fact, it’s been used in folk medicine for hundreds of years. Hippocrates is believed to have used this remedy to treat his patients in 400 BC. According to the University of Maryland Medical Center, apple cider vinegar may have antimicrobial properties, making it potentially useful for killing germs and treating food poisoning. It’s also said that apple cider vinegar accelerates weight loss, promotes beautiful skin and keeps cholesterol levels in check. However, no researched has backed these claims. With all the pain control technology available - there's no reason for you to needlessly suffer ever again! Most people have been conditioned to live with pain. But you don't have to. Pain could be easily managed. Often from home, and in as little as 20-minutes. Alternative health practitioners around the world swear by apple cider vinegar for treating the symptoms of arthritic joints, such as joint pain and stiffness. Vinegar is believed to banish pain associated with arthritis and slow down progression of the disease. So how much apple cider vinegar should you drink to relieve your arthritic joints? Researchers from the University of Florida recommend mixing two teaspoons in a glass of water. Drink the concoction before each meal to keep symptoms of arthritic joints at bay.